Genus & Species: Phascolarctus cinereus (ash-grey pouched bear). Common Name: Koala. An Aboriginal name meaning "no water". 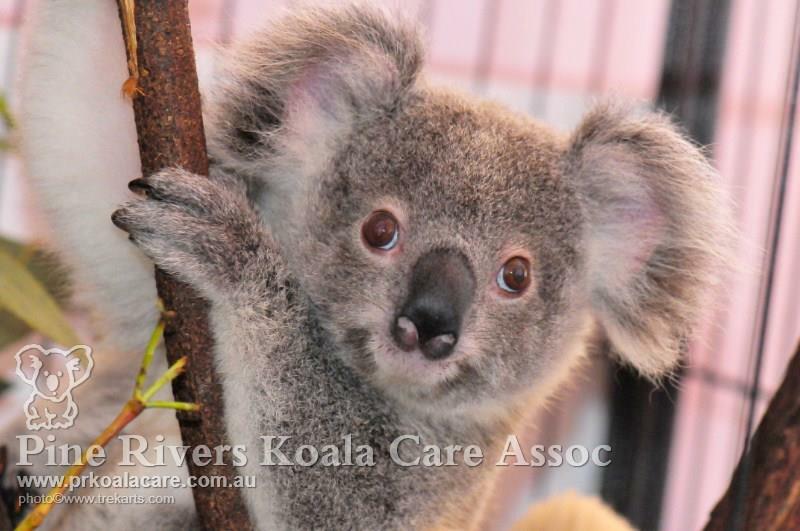 Weight: 6kg to 9kg (koalas in southern states are heavier). Fur Colour: Silver grey and cream. Lifespan: 15 to 18 Years in captivity - Unknown in wild. Sexual Maturity: Male 3 to 4 Years, Female 2 Years. Gestation: 30 to 35 Days, mates at night in the treetops. Young: Newborn is the size of a Broad Bean (2cm and referred to as a "Pinkie"), blind and hairless. At birth the young forces its way through its mother's fur to reach her pouch and attach itself to one of two teats. 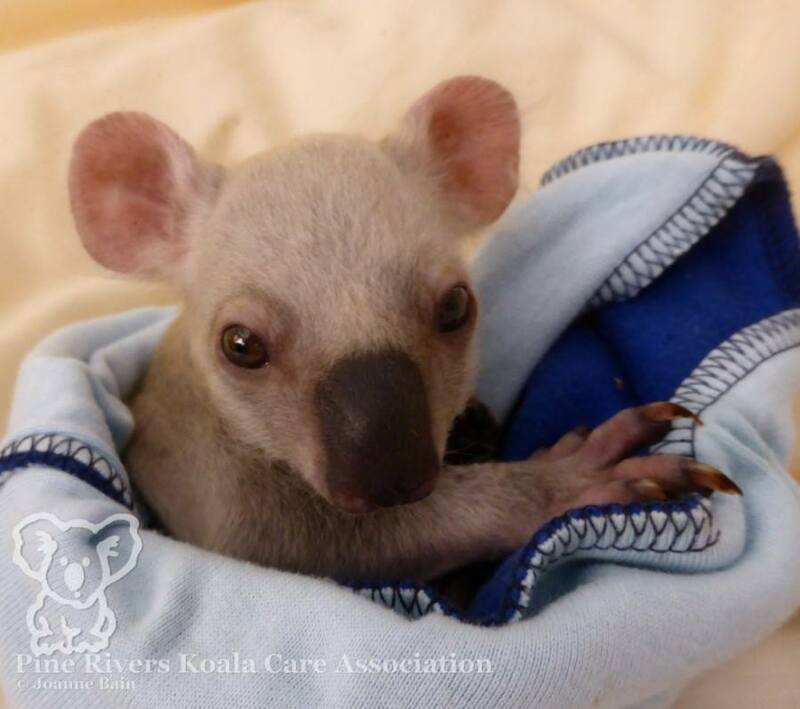 At 6 months it leaves the pouch and moves to the mother's back or chest (referred to as a "Backrider"). At 12 months the baby usually becomes independent. Number of Young: One - rare instances of twins. Pouch: Backward facing (prevents bark and leaves from entering the pouch - similar to the Wombat). Habitat: Solitary tree dweller (non-social animal). Diet: Eucalyptus leaves. Adult eats about 500g each day. Digestion: Eucalyptus leaves are low in nutrition and contains 20% in fibre, with tannins more than 10%, water 50% and minerals 2%. 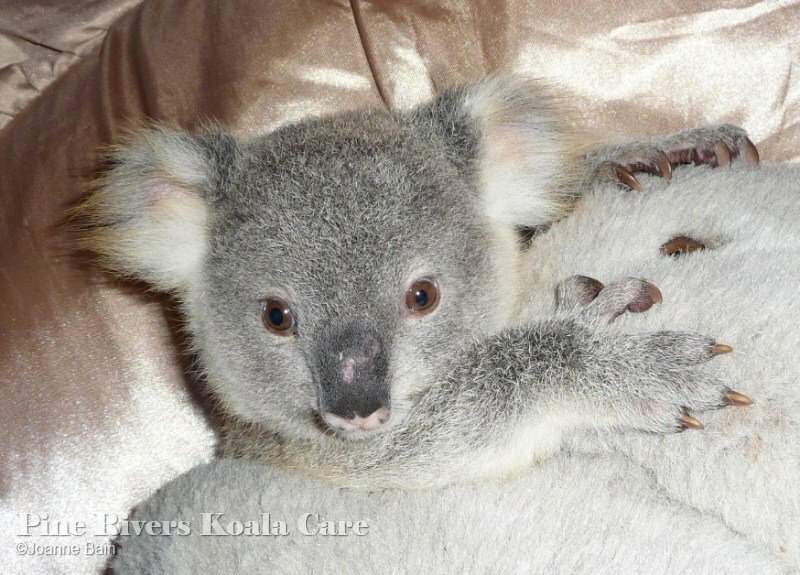 Koalas have developed a special intestinal chamber called the caecum, which contains bacteria, which ferments the leaves to make them more digestible. Food Trees: Feeds on about 12 of the couple of hundred eucalyptus species that grow in Australia. Call: Harsh call like a female screaming or guttural like a wild pig. 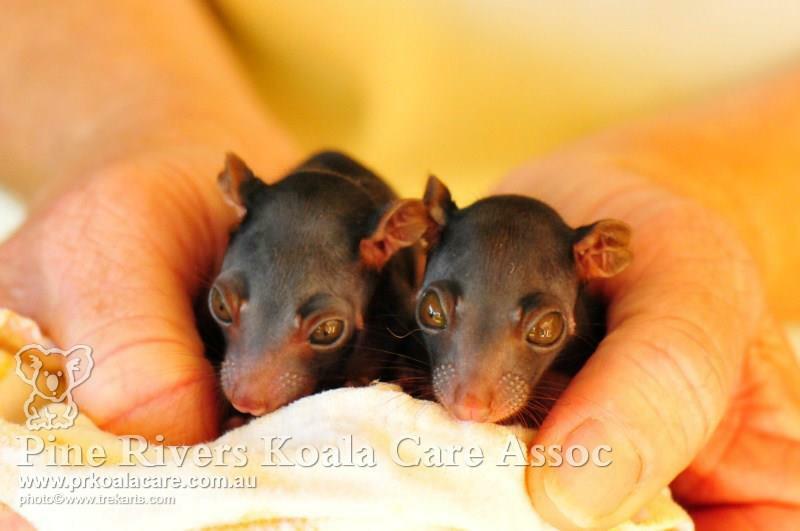 Conservation: Protected species, classification "common", although classified as "regionally vulnerable" in S E Queensland. Pine Rivers identified as having "the healthiest urban population in Australia." ...statistical evidence gathered to date indicates that the koala is in serious trouble.